We offer a large range of Weinor and markilux garden and patio awnings suitable for all kinds of residential properties and homes. With over 50 years experience, Weinor Awnings and markilux Awnings are renowned for their high quality and durable garden and patio awnings. 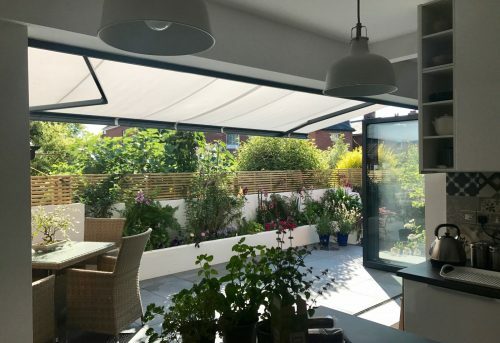 Providing a large range of awning options to suit all needs and budgets, we have over 156 awning fabrics to choose from and over 200 frame colours so you can find the perfect awning for your outdoor space. 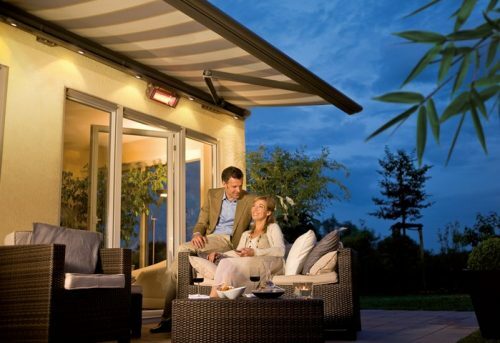 markilux and Weinor engineers and designers are passionate about delivering the best quality awnings to you to enjoy. 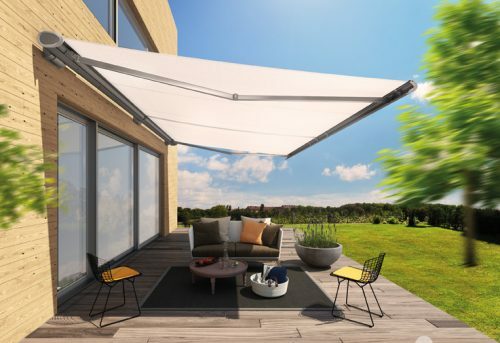 Carefully designed to suit your outdoor living needs and constructed using the very best materials available, markilux and Weinor Awnings are long lasting and reliable. 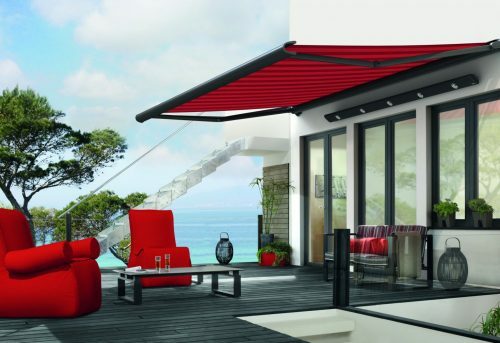 Both Weinor and markilux awnings have won numerous awards over the years in recognition of both their beautiful design and aesthetic qualities as well as advanced technical brilliance. Awards include the Red Dot Award, BTP Innovation Award, iF Product Design Award, Good Design Award and Focus Open award. 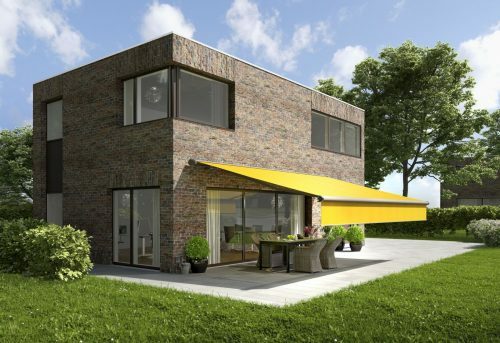 markilux and Weinor awnings are made using the very best materials. All of the components are stainless steel and the awning arms and brackets are manufactured using drop forged aluminium for maximum strength. Furthermore, a special powder coating finish helps to prevent corrosion. 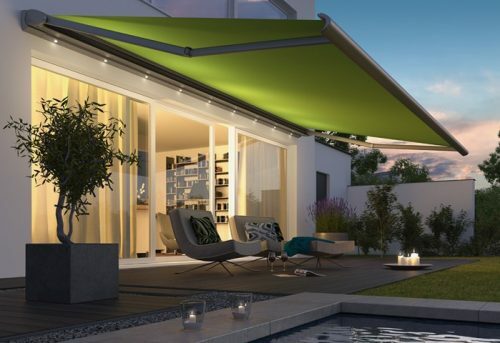 Weinor and markilux awnings are only available through their hand picked high quality awning specialists. 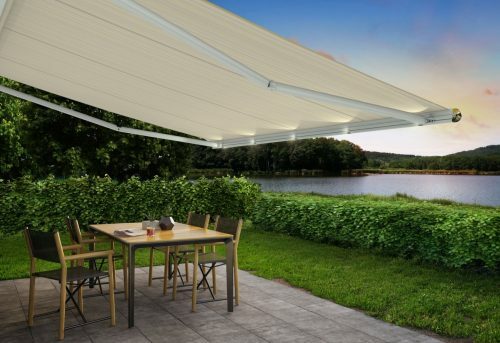 You will not find Weinor or markilux awnings available on the high street or be able to buy direct online. Each awning is custom made to fit your home with care and attention to detail and a premium quality finish. 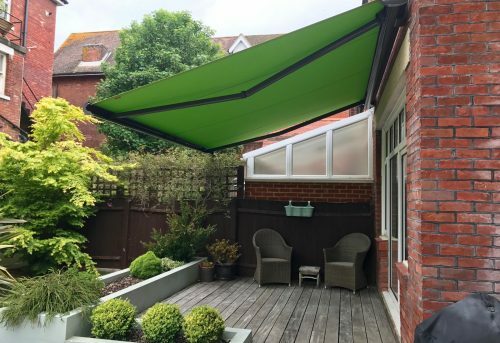 We have a range of over 156 awning colours in traditional stripped and modern colour block designs to choose from and can also offer customised fabric colour matching. Plus, all of our fabrics are shower-proof so you you can enjoy your outdoor living space come rain or shine and all year round. 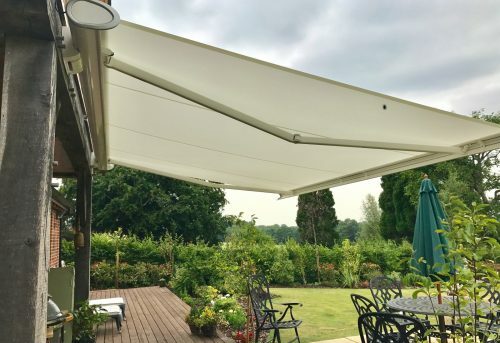 We can install awnings throughout Hampshire, Dorset, West Sussex, Surrey, Berkshire and London including Basingstoke, Kingston, Weybridge, Winchester, Guildford, Southampton, Lymington, Andover, and Chichester. Contact us to find out if we cover your area.